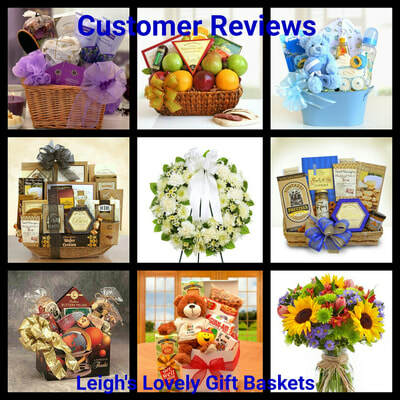 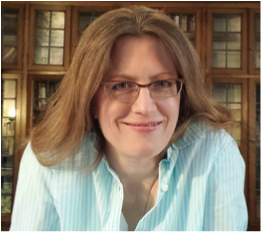 Click here to visit Leigh's Customer Service Page . 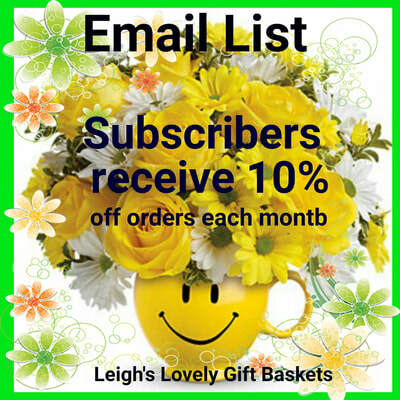 Leigh's contact information is also listed at the bottom of each website page. 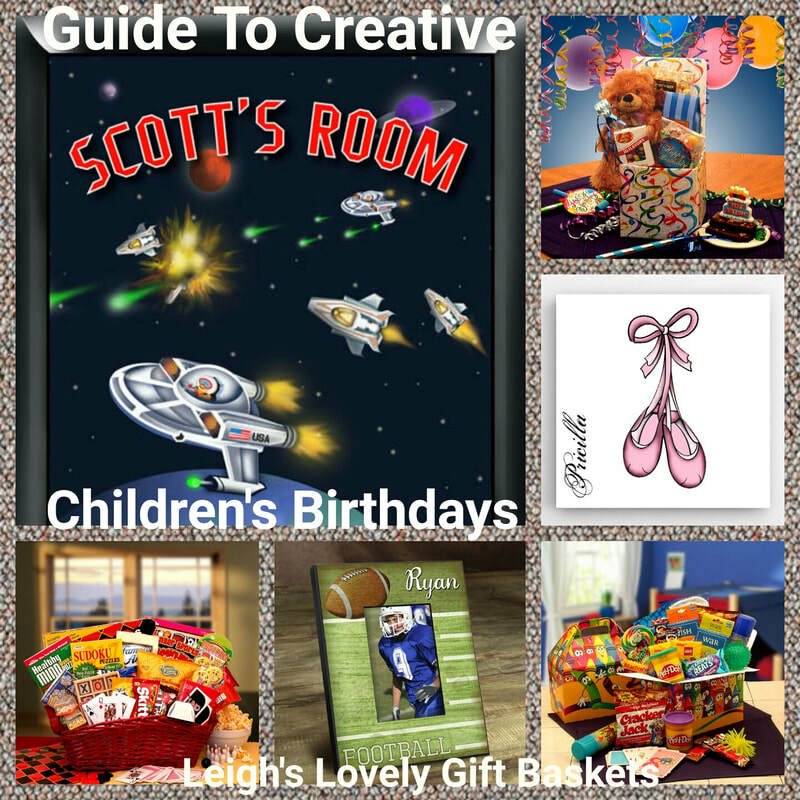 Click here for Children's gift shopping and party ideas! 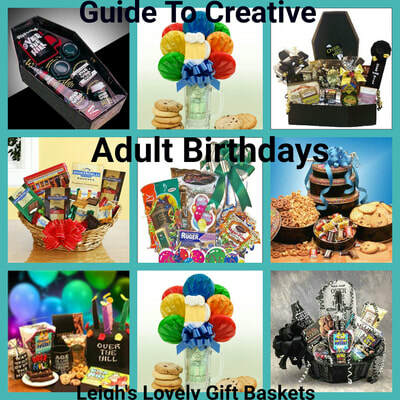 Click here to shop for unique adult birthday gifts and party ideas! 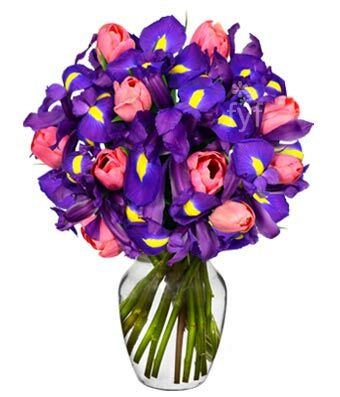 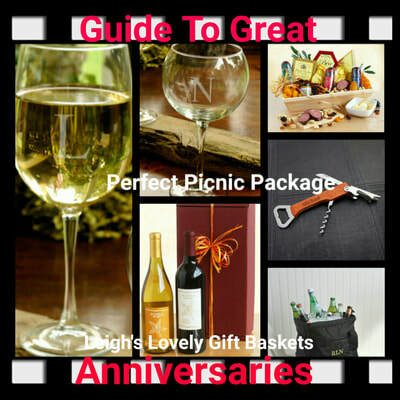 Click here to shop for great gifts for anniversaries! 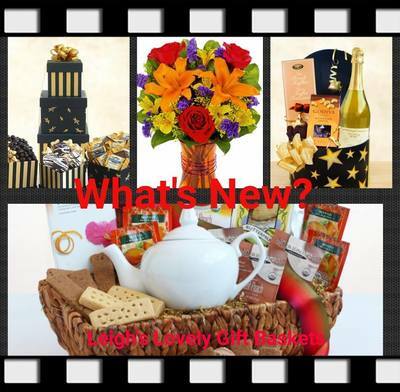 Twenty new gifts have been added to my LBB Store! 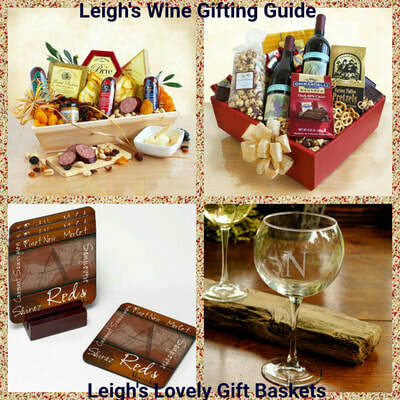 Leigh's Wine Gifting Guide now includes beer,champagne and meat and cheese gift baskets! Bar Ware gifts are also featured to help you build a great gift package! 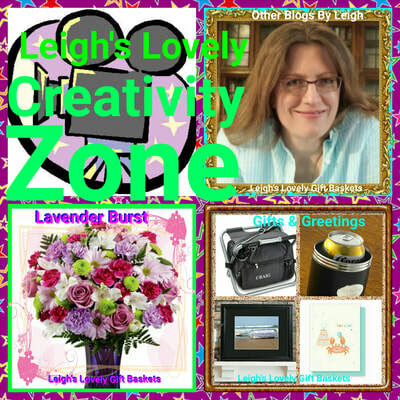 Personalization is always free! 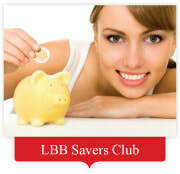 Click here to start saving 20 % on all of your gift purchases for an entire year! 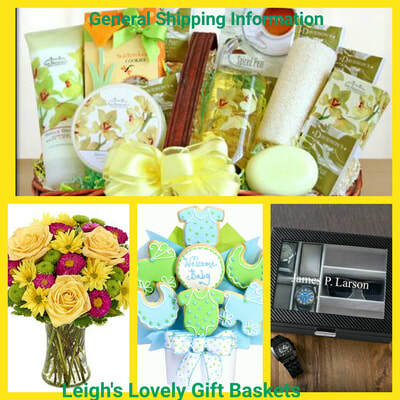 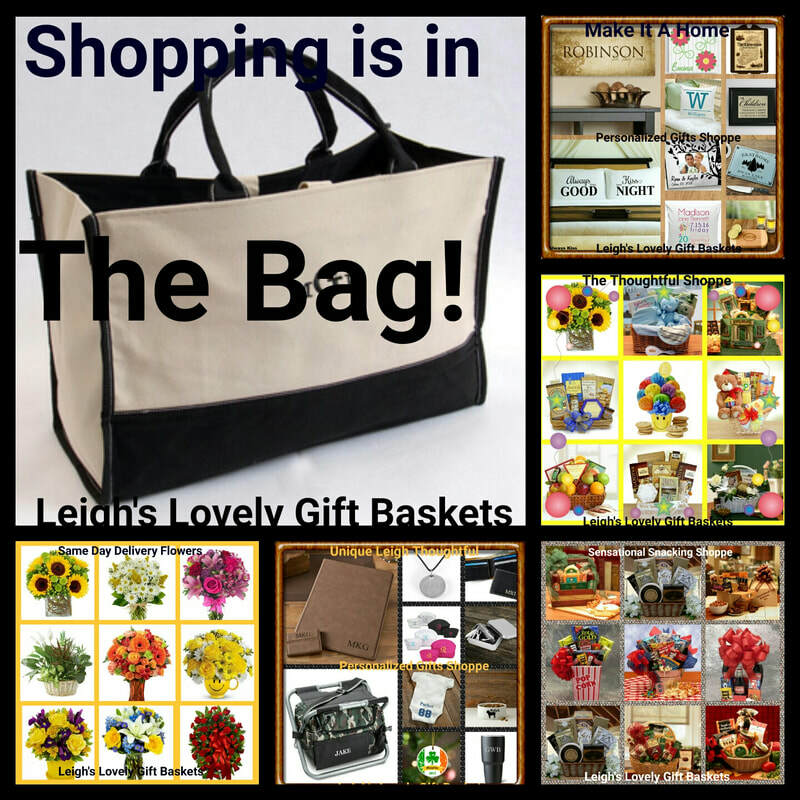 Click here to join " Leigh's Birthday Club " to save on gifts for your birthday and those special to you. 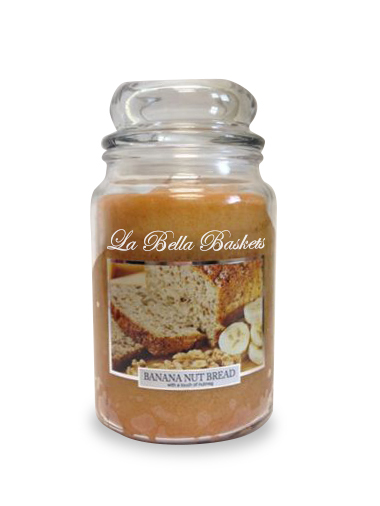 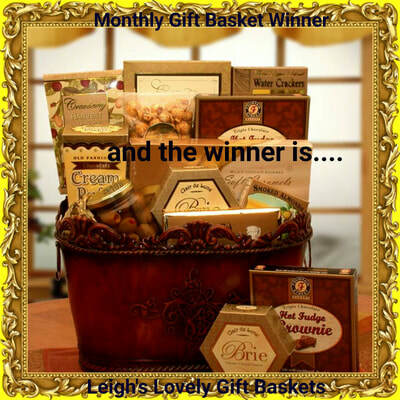 Click here to enter the La Bella Baskets Monthly Basket Give-away. 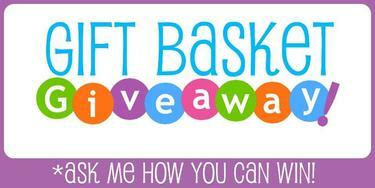 It's FREE and it's fun! 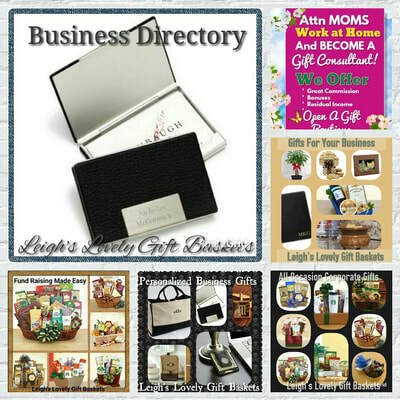 Click here to see what my satisfied customers have written about my gift service since 2010! 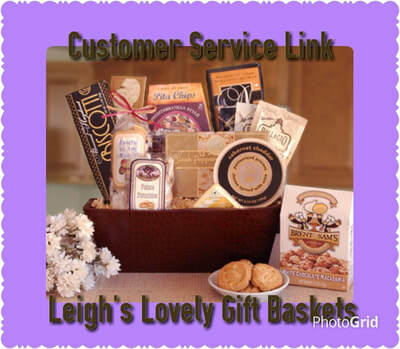 Click here to visit my Customer Service Page to view my gift services and contact information.